Access All Areas have a really useful set of wood mockups and bonus wood vectors to download this week, courtesy of Justin Tordella from Texture Club. 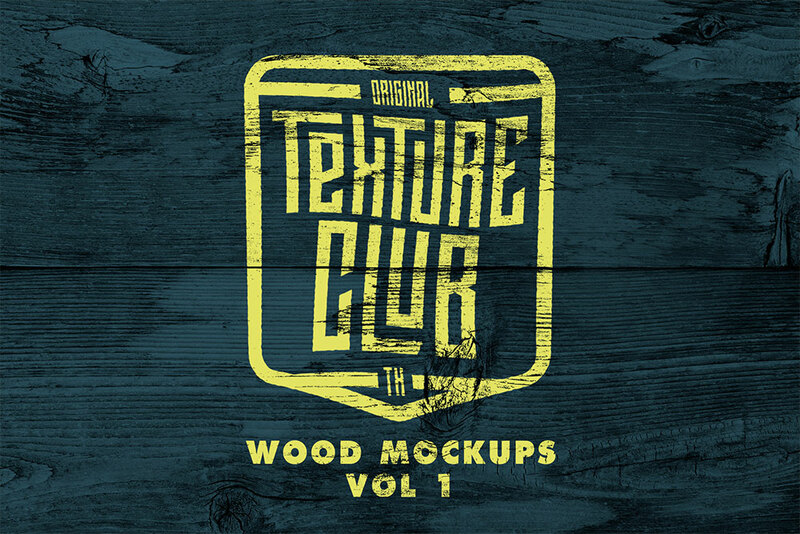 These 3 wood mockup files are so easy to use, all you have to do is drag and drop your artwork into the Photoshop Smart PSD files to see your designs simulated as aged paintwork on wooden signs. As a bonus, you’ll also find 5 additional wood vectors that you can use as assets within your Illustrator artwork. Texture Club is the design resources store of Justin Tordella, a freelance apparel designer and texture enthusiast. His extensive catalog contains some of the best texture products around, featuring a range of surface styles, including wood grain, ink splatters, brush marks, scratches and fine grit. Every item has been digitised from hand made sources at high resolutions to preserve all the grainy details. Follow Justin on Instagram to keep up with his work and receive his regular free texture releases. This set of wood mockups for Adobe Photoshop contains 3 super high resolution mockup files. Paste your artwork into the Smart PSD layer to have the your designs distressed with the grain of each wood texture. All colours are fully customisable, allowing you to produce realistic simulations of your designs as painted graphics on aged wooden signage. Oh, far out! These are cool! Thanks to both, Justin and you, Chris! Thanks, Chris! It’s always a pleasure to share resources with your audience. And thanks for the kind words, Su!